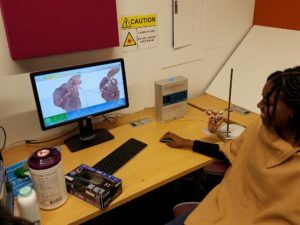 Students in Dr. Carmen Eilertson’s Biology 4687/6687 Surgical Anatomy course have been busy this semester creating detailed 3D models of human organs from their cadaveric dissections. Cadaveric dissection is a critical part of medical education, and under the direction of “Dr. E,” even undergraduate biology students at Georgia State gain exposure to human anatomical specimens for learning and research. 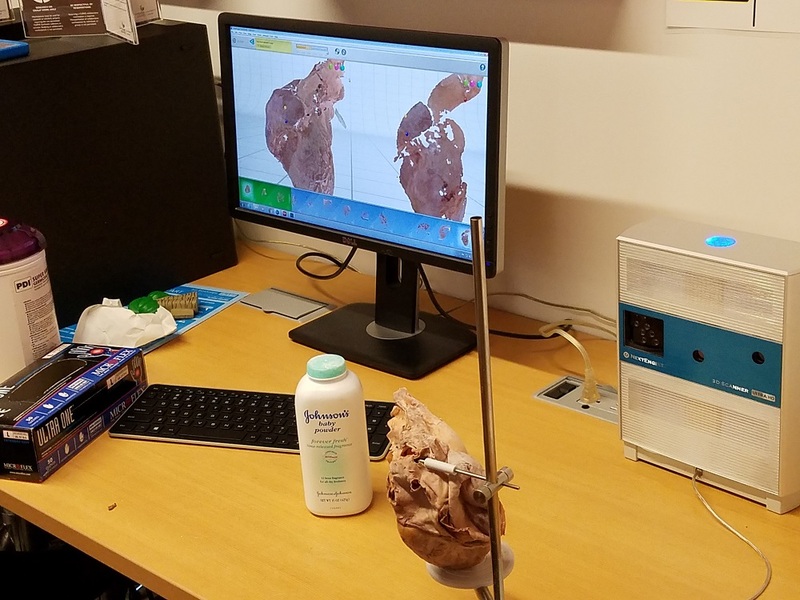 CURVE’s 3D scanners enhance research and learning by enabling students and instructors to convert physical artifacts into 3D digital objects for up-close study and analysis and for sharing with other students and the broader research community. The scanning hardware and software can be used to create virtual models of objects for learning and research across disciplines. Once their high-resolution scans are complete, Dr. E’s students will be able to zoom in and analyze each organ’s features from multiple angles. As part of this assignment, students will also label the features on each digital model. Thanks to the Student Innovation Fellows Program and Center for Excellence in Teaching in Learning at Georgia State for their support of this innovative project.